Let us first get the facts straight, once and for all. France does not prohibit the use of the veil in public. In the same way that teenagers can walk the streets in their pyjamas, Muslim women can wear the veil, as long as they keep away from the classroom and government offices. French retailer Decathlon came up with the inspired idea of introducing the running hijab – a sporty version of the more sedate hijab – in France, after having witnessed its commercial success in Morocco. How naive, of course, and had they asked me for my advice, I would have told them straight away that, “la France n’est pas le Maroc!” Decathlon, like the Washington Post for that matter, fails abysmally to understand the Republican values that have been imprinted in all those who have been through the French educational system. I do wonder if I have not been brainwashed by the French state, because these values are as much present in me now, as they were during my schooldays. The French Republic is “one and indivisible” – made up of equal citizens, not separate communities. The Republic combines unity with diversity, the “me” with the “we”. The indivisibility of the French Republic is just not negotiable. It consists of a pact made between the French citizens and their state. The citizens are not considered as individuals or communities who have nothing to do with each other and who live together based on rules dictated by rights and economics. It is a universal vision of the world that lies outside the realm of religion and beliefs. 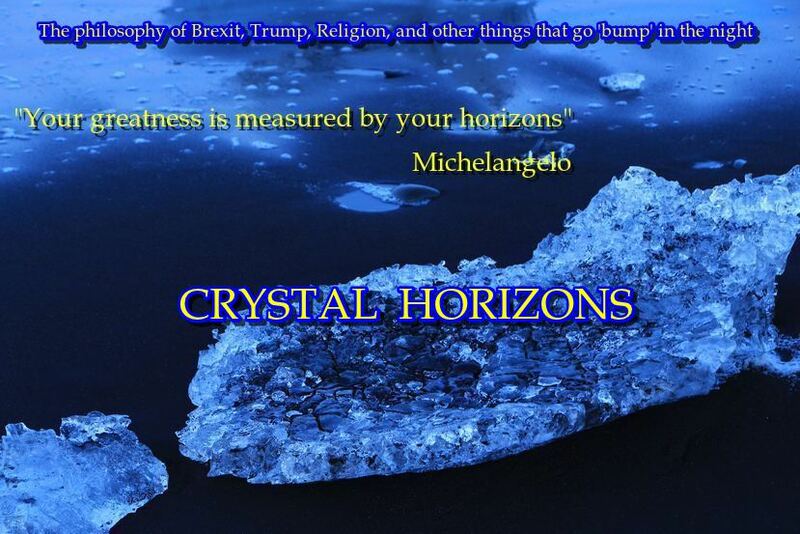 It comprises values of humanity where the very nature of the relationship between men and women can be questioned, and there is a basic set of values that apply to all. If these Republican values are to be respected, how can one not but question the justification based on religion, that men and women can only mix if it is the woman who conceals part of her body? Many Muslim women will say that it is a choice, that it brings them humility in front of God. They have the right to their opinions, but others should not be ridiculed for questioning their reasoning. In an article commenting the latest French controversy, the Washington Post describes the whole situation as ridiculous – a “matter of state” over the freedom to wear a religious garment. But I do get the feeling that the paper is trying to ridicule France, which is not quite the same thing. The paper makes three mistakes in its harsh criticism of France’s attitude towards the veil. The French have inherited this universalism from the Enlightenment and it is fundamental to the Republican Pact that operates in the country. Deviating from, or ignoring, this pact amounts to nothing less than a threat to the very nature of the French Republic, which only exists thanks to the sharing of a minimum number of values that cannot be occulted. One of these values is that men and women can coexist without the need for women to cover themselves up to be protected from the desires of men. France is indeed a secular country, but the French have a long Christian history, a heritage that the state is justified in acknowledging. In 2005, the French government decided to replace Whit Monday by a “Solidarity Day,” where workers would work one day without being paid, in order to raise money for the disabled. Following protests, Whit Monday was reinstated in 2008. It is quite obvious that the Washington Post either knows absolutely nothing about French republican values, and even less about Jules Ferry’s 1905 law separating the Church and the State, or has a biased view that is based on American culture. It is a culture where anything goes, as long as you can pay for it. It is a country where you can buy hijabs online, and semi-automatic weapons at your local drugstore – a deadly combination. Furthermore, the fact that the newspaper whose editors are supposed to be clever, cannot even tell the difference between the nativity and Christmas, is really not worth elaborating on. Freedom to practice religion has been recognised in France since 1905. That year, the “Loi sur la Séparation de l’Église et de l’État” (Law on the Separation of the Church and State) came into effect. It was not a law to oppose religion and had as objective that all religions operate in the private sector, thus establishing state secularism in the public sphere. To this day, France does not favour any one religion and guarantees their peaceful co-existence in respect of the laws and principles of the Republic. Art.1 The Republic guarantees freedom of conscience. It guarantees the free exercise of cults under the only restrictions enacted below in the interest of public order. Dress codes, forms of physical appearance or behaviour, presented or perceived as expressions of religious affiliation, are liable to provoke reactions of hostility or suspicion. Prohibition of all signs reflecting a person’s religious or other convictions in public areas (in the sense of the common space) would be an attack on the fundamental freedom to express one’s convictions (in the realm of religion, politics, trade unions, philosophy). The 1905 law is one of the most important pieces of legislation in French history, having segregated religion from the state, and having united believers and non-believers. It is as important as the Edict of Nantes that was signed in 1598 to pave the way for peace between Catholics and Protestants. 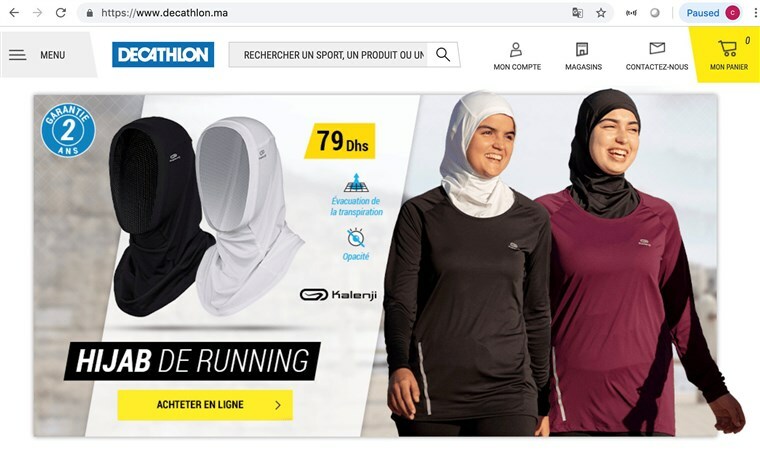 The public outcry following Decathlon’s attempt to sell the hijab in France is not one directed against the Muslim women who wear the hijab. This is underscored by the fact that in 2016, the banning of the burkini by certain mayors was judged to be illegal by the High Court. The indignation is directed at a French retailer, Decathlon, acting in a way that contradicts the values of the French Republic, and that encourages the oppression of Muslim women by Muslim men. Those women who insist on wearing a hijab during sporting competitions must also remember that we have always been told not to mix politics and sport. Maybe religion must also be kept out of sport, even in our craziest dreams.